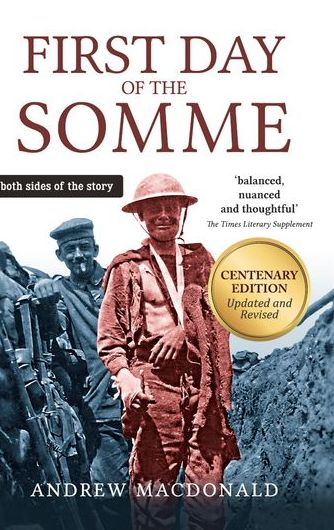 First Day of the Somme: both sides of the story by Andrew Macdonald is the complete account of Britain’s bloodiest single day of the First World War. Both the British and German perspectives of the battle are brought together fully for the first time, with numerous eyewitness accounts from the bustling headquarters and bullet-swept no-man’s-land of 1 July 1916. The many causes behind the military disaster are laid bare by Dr Macdonald in this epic story of courage, misery and endurance.